Nurses in Quebec say they're exhausted and overworked. It's gotten so bad they're calling in to report on themselves, claiming they are unfit to provide proper care. For the first time in history nurses have been calling to report themselves as unfit for duty, according to the Quebec Order of Nurses. 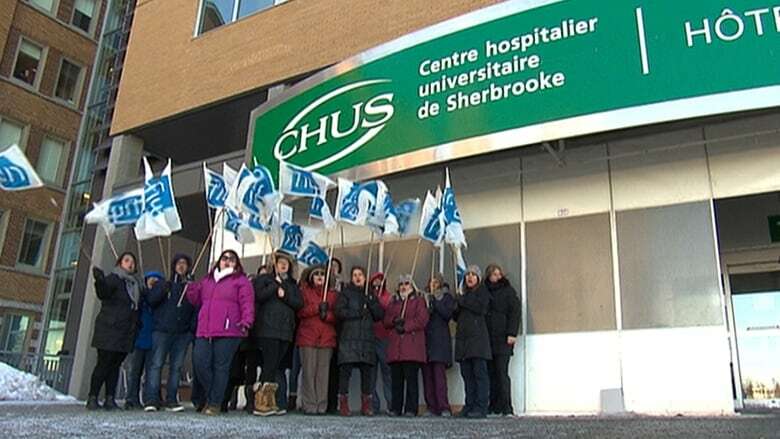 The organization that represents health care workers is set to meet with the province's Health Minister, Gaetan Barrette on Monday, to discuss the ongoing nurses crisis in the province. After a Facebook post went viral showing a nurse in tears with the caption: "the face of nursing in Quebec", nurses across the province chimed in to share what they say are unacceptable work demands that threaten the safety of their patients. 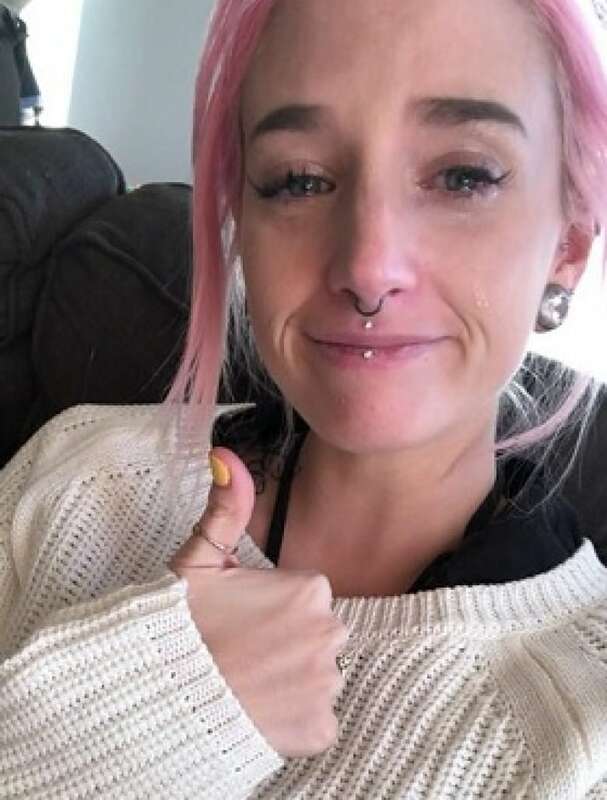 Sherbrooke nurse Émilie Ricard posted this photo of herself in tears on Facebook after working a night shift. It was shared 50,000 times in the first two days. (Facebook/Émilie Ricard)"Right now we're at a breaking point," says Lucie Tremblay, president of the Quebec Order of Nurses. The main complaint from the nurses is being forced to work too much overtime that is jeopardizing the care they give to patients. "There seems to be a phenomenon where nurses are forced to do overtime even when they say they're not fit to do it," Tremblay told The Current's Anna Maria Tremonti. "Some nurses are telling us, I was up early in the morning, went to work in the afternoon, it wasn't planned ... and at the end of the shift I was forced to stay the night so I was awake for almost 24 hours." Tremblay said that beyond receiving significant complaints from nurses, she also gets calls from patients. "The public is calling us saying, 'I'm not reporting a nurse who is not competent but when were waiting for them, we can see they're busy, they're running around but there's not enough of them to care for us.'" A new report from the Canadian Federation of Nurses Unions (CFNU) has called for safer nurse staffing levels to reduce the system's reliance on both paid and unpaid overtime for nurses. The total cost of nurses' overtime, combined with the cost of nurse absenteeism due to own illness and disability, rose to close to $2 billion annually in 2016. The issue of understaffing isn't a lack of nurses available according to Tremblay. She pointed to over 1,200 nurses waiting to do internships that cannot find placements in Canada, and added the nurses that do get jobs are only hired part-time. In an open letter posted online, 200 doctors from the group Médecins québécois pour le régime public are supporting the nurses by refusing proposed pay raises. They say the money should go to nurses and other frontline employees who need it more. The group's president, Dr. Isabelle Leblanc told CBC Montreal's Daybreak that they want to show their solidarity. "They get cuts in the amount of money they get. They get cuts in their working conditions, and we get raises." "For us it doesn't make sense." This segment was produced by The Current's Ines Colabrese and Montreal network producer, Laurene Jardin.